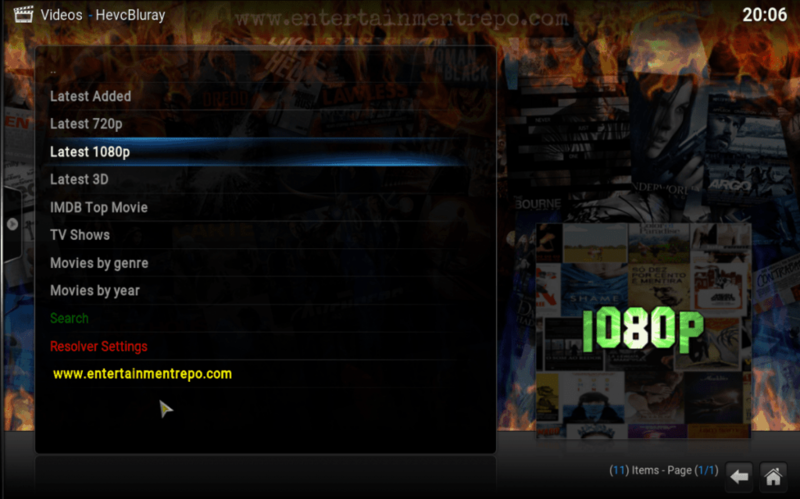 Install HevcBluray add-on From Entertainment Repo, which is a mixture of Bollywood & Hollywood films all 720p and 1080p. HevcBluray is a great addition from Entertainment repo which has movies choices for Bollywood Fans, Hollywood fans so must give it some credit for its diversity as with most of Entertainment repo addons. HevcBluray is now installed. The add-on can be accessed via VIDEOS > Add-Ons > HevcBluray from your home screen. Let us now what you think via facebook or twitter, Enjoy!